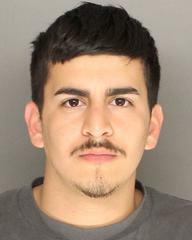 On March 18, 2019, Sheriff’s deputies conducted a probation search in the 6200 block of Covington way in the City of Goleta. During the search, deputies discovered what appeared to be a Butane Honey Oil (BHO) lab inside the garage of the residence. The Sheriff’s Cannabis Compliance Team was contacted and detectives responded to the scene. Detectives examined the suspected lab and determined it was in fact a BHO lab but it was not currently active. The lab was made safe and collected. Once the residence was deemed safe, a probation search of the residence was conducted. During the search, ammunition was located inside the garage near the lab.